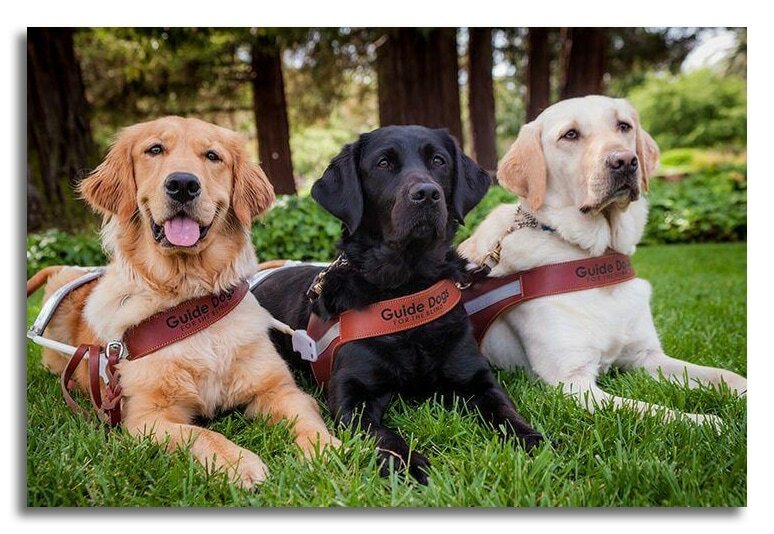 Guide Dogs for the Blind (GDB) has been bringing people, dogs, and communities together since 1942. Lois Merrihew and Don Donaldson founded GDB after recognizing the growing need of wounded servicemen returning home from World War II without their sight. A German Shepherd named Blondie, rescued from a Pasadena dog pound, was one of the first dogs trained in a small rented home in Los Gatos, California. Blondie was paired with Sgt. Leonard Foulk, the first serviceman to graduate from the school. Click here for more information on Guide Dogs for the Blind. 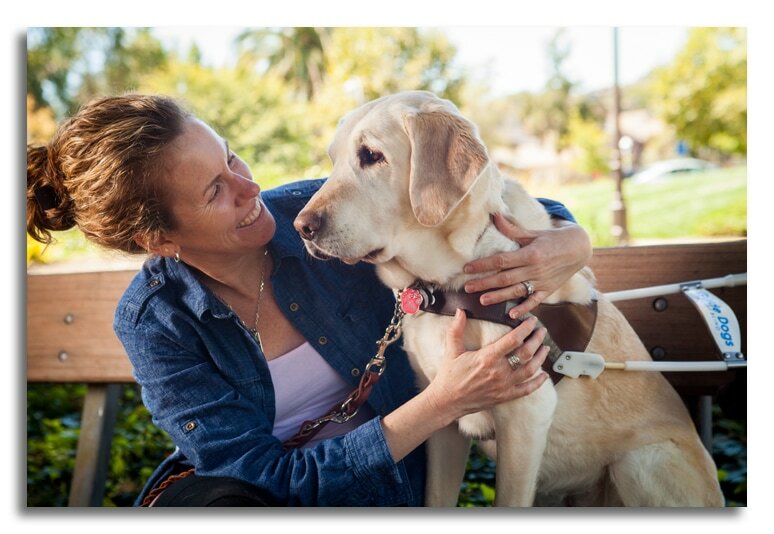 GDB understands that choosing to live with a guide dog is a big decision, and they work to help everyone find the right partner. They provide small, two-week long classes, along with continued support after graduation. GDB now has two campuses, one in San Rafael, 20 miles north of San Francisco, and another in Boring, Oregon. Students spend the two weeks on campus in student residences, which have private rooms, libraries, music, computers and exercise rooms.